Originally, RTM was not able to broadcast the finals of Thomas Cup 2014 between Malaysia and Japan tomorrow but things have now changes. Just moments ago, the public broadcast has announced through TV1’s official Facebook page that the channel will be able to broadcast the match tomorrow live. 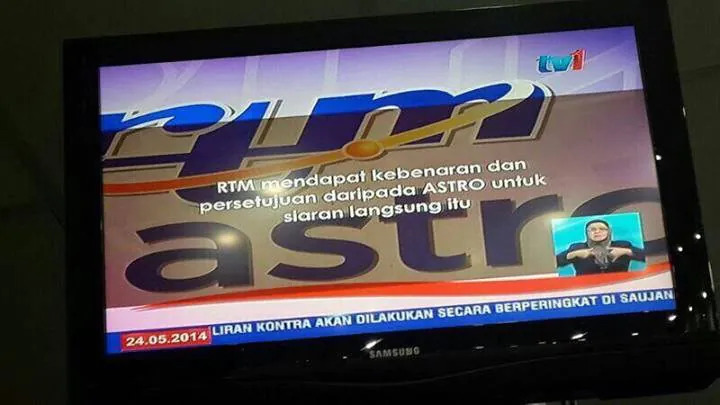 Judging from this screenshot of TV1’s news, it seems that Astro has apparenly made a u-turn on its decision and subsequently allows RTM to broadcast the match on one of its Free-To-Air channels. Although I personally believe that the truth might be much more complicated than that, there is no official explanation behind the decision reversal by Astro. So, now that everyone will be able to catch the Thomas Cup finals match between Malaysia and Japan tomorrow regardless whether through Astro or RTM, tune in at 530pm to give your support to our national badminton team. Let’s hope they will be able to bring the Thomas Cup home this time around.